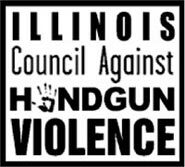 The Illinois Council Against Handgun Violence (ICHV) is the oldest and largest statewide organization in the U.S. working to prevent the devastation caused by firearms. Founded in 1975 by four suburban Chicago women concerned about the tragic consequences of handgun proliferation and availability, ICHV works on a variety of fronts to educate, raise public awareness, and build coalitions to enact change in laws and behavior. For 35 years, ICHV has been a leader among state gun violence prevention groups. Visit ICHV�s website for more information. We are looking for a small group of committed students between grades 7-12 to form a Student Leaders action team. The Student Leaders will meet regularly throughout the school year to receive leadership training and develop the skills necessary to positively transform their communities. As part of Student Leaders, volunteers will organize and implement action projects such as rallies, marches, or community events toward reducing the threat of gun violence. Committed students who are interested in an in-depth service learning experience that is truly fulfilling should contact ICHV for more information. Additional opportunities for volunteering at events will be announced as they occur so please check back for future opportunities. ICHV has a group program that is well suited for teacher-led instruction; an explanatory document can be found here.